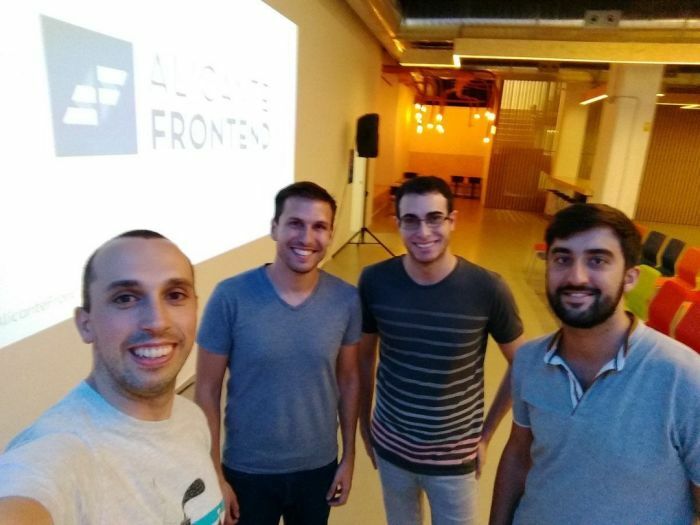 This week I had a blast speaking at a meetup organised by Alicante Frontend. To me this was really special. Alicante is my home town and it’s also where I studied Computer Science. After having been far from the region for some time, I was happy to catch up with some colleagues and confirm that web development is really healthy in Alicante. There are more companies, co-working spaces, meetups and conferences than ever. There is a feeling of collaboration and helping each other that will continue fostering good things. The meetup was hosted at ULab, a coworking space in the centre of Alicante. They offer desks, offices, training rooms and meeting rooms for rent, and have been hosting Alicante Frontend meetups. I had the chance to meet with Isabel Romer, Product Manager at ULab, who showed me the facilities. We talked about the ecosystem of companies in the area and how Alicante is becoming a hub of tech start-ups. The space reminded me of CodeNode London, though a bit smaller (1,300 vs 2,100 sqm). I had heard of a few co-working spaces in the region but whenever I checked their website it felt like old offices recycled as mere desks for rent, not taking advantage of an eco-system of companies and professionals collaborating with each other, nor hosting external events. I was actually looking for a place like this. I have tried to work remotely sporadically while spending some days in Alicante visiting my family. I’ll definitely try it out when coming back. After attending JSDayES 2017 I came in contact with lots of web developers in Spain and got to join two large Slack channels where Frontend developers hang out, at a national (Frontaneros) regional level (Alicante Frontend). 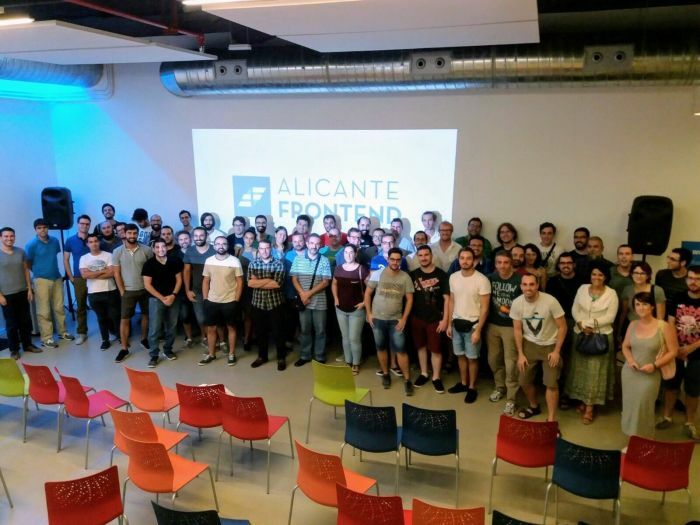 The organisers of Alicante Frontend gave me the opportunity of speaking at their meetup. They have been arranging events since December 2016 and are very active on Twitter, GitHub and the aforementioned Slack channels. I talked about web performance optimisation focused on images. The talk was based on the one I gave at JSDayES, but this time I translated it to Spanish. There were many questions in the Q&A. Some of them were related with the contents of the talk, like how to tackle retina displays, some doubts about lazy loading and whether I had been using Service Workers in my projects at Spotify. Lots of other questions were about Spotify and Sweden. How is it working at Spotify, what the culture is like, how we are organised or how we work with designers were a few ones. Also whether it’s very cold and there are lots of depressed people in Sweden. If you wonder, it’s not that cold, at least in Stockholm, and darkness can affect your humour but you’ll probably be fine. There were around 60 attendees, and I was told this was the most crowded meetup organised by Alicante Frontend, which made me extra happy. I’m sure Alicante Frontend will continue growing and showcasing the local talent.